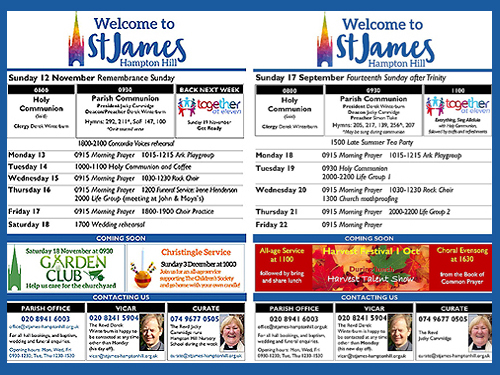 We at St James's Church look forward to seeing you at one of our services or events. There is always somebody willing to chat to you, either by phone, e-mail or in person. This section, In touch, keeps people in touch with the church and the church in touch with newcomers and regular church members alike, with information about the office, how to book the church and/or hall, giving to the church, the Spire magazine, and main news and notices, together with all the photo albums, the Pew Sheet and social media, (Facebook, Twitter and Instagram) and through Nick Bagge in the office. There is also a page showing our recent and future plans. To receive the weekly information email sign up here. The New here section of the website gives information about us and welcoming visitors. There is also information on who's who, how to find us and how to get involved in church life. 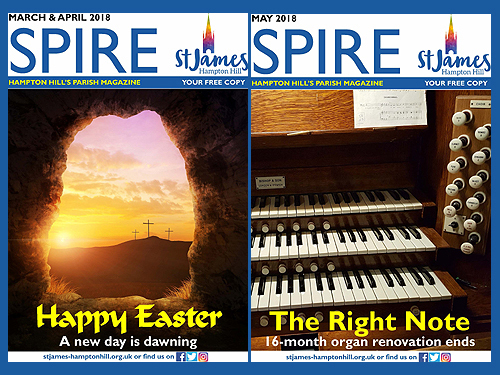 Have a look at the Church life section which covers all aspects of lfe in the church, what goes on, up front and behind the scenes, who does what and much more. You may be new to the area, looking for a change or something new or perhaps just visiting. Whatever the reason, we would love to meet you and welcome you into our church. People who are new to the area can use this website to find out all about the church before even setting foot in it. The website might be the first point of contact for people in the local community that do not yet go to church. It provides an ideal way to find out about the church and the Christian faith, anonymously. The welcome page describes what goes on inside our church, what to expect when visiting and hopefully encourages people to feel secure enough to take the next step. 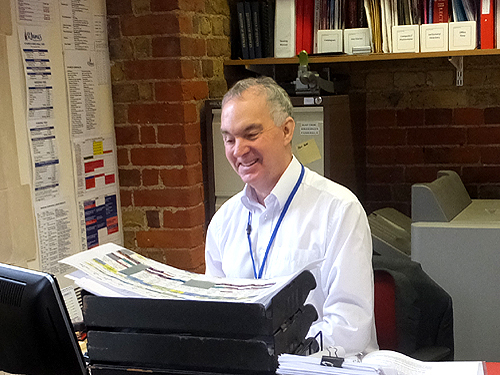 Browse through this website to see who we are and what we do, use the search facility if you are looking for something specific or look at the site map to see what is here, or contact Nick in the office for any further information. The website, of course, also aims to serve the needs of our congregation by providing up-to-date details of services and other events. They can find information at any time of the day or night from any computer, enabling them to keep in touch throughout the week, wherever they are. • Every person has a value and dignity, which comes directly from the creation of people in God’s image. Christians see this potential as fulfilled by God’s re-creation of us in Christ. Among other things this implies a duty to value all people as bearing the image of God and therefore to protect them from harm. • We commit ourselves to nurture, protect and safeguard all our members, particularly children, young people and vulnerable adults. • We recognise that safeguarding is the responsibility of the whole church. • We undertake to exercise proper care in the selection, appointment, training and support of those working with children or vulnerable adults. • We will respond without delay to concerns or allegations that a child or vulnerable adult may have been harmed, cooperating fully in any investigation. • We will challenge any abuse of power by anyone in a position of trust. • We will seek to offer pastoral care to anyone who has suffered abuse. • We will seek to offer pastoral care and support, including supervision and referral to the proper authorities, to any member of our church community known to have offended against a child, young person or vulnerable adult.